31 August 1945. Chiang Kaishek orders General Chang Fa-kuei to send U.S.-equipped troops to reoccupy Canton and Hong Kong. The closest KMT troops, however, are in far-away Kwangsi. Seven days later, these troops enter Canton. 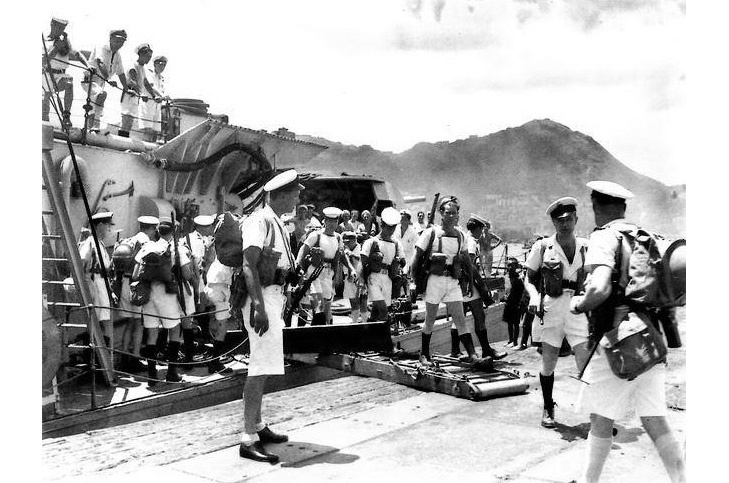 A formal Japanese surrender ceremony is held there on 16 September, by which time Hong Kong is firmly in British hands. 31 August 1945. Thai Prime Minister Khuang Aphaiwong and his cabinet, responsible for maintaining official Thai cooperation with the Japanese during the final year of the war (while turning a blind eye to Free Thai activities in the country), resigns in favour of an interim cabinet headed by Thawi Bunyaket, a Free Thai ally of Regent Pridi Phanomyong.